Shari’a is an Arabic term with no straightforward English equivalent. Often translated as Islamic law, it also encompasses something much broader: ethical formation, faith traditions, and living practices that invite interpretation, learning, and education. Such adaptability and interactivity may come as a surprise to those who view shari’a as top-down, monolithic, and unchanging. Professor Mark Fathi Massoud will delve more deeply into the realities, subtleties, and richness of Islamic law and ethics in his address, “The Struggle for Shari’a: Islamic Law in Modern Times,” a highlight of this year’s Alumni Weekend. Massoud, associate professor of politics and legal studies at UC Santa Cruz, will deliver the third annual Noel Q. King Memorial Lecture in History and Comparative Religion, Saturday, April 28, 2:30–3:30 p.m. at the Merrill Cultural Center at UC Santa Cruz. The lecture honors the memory of UC Santa Cruz Professor Noel Q. King, who helped introduce the study of comparative religion to the campus. He engaged Santa Cruz students in his lifelong curiosity about and respect for diverse religions and beliefs. A popular teacher and respected scholar, King died in 2009. Following his presentation, Massoud, who researches and teaches in the areas of international law, human rights, and the politics of law and religion, will have an onstage discussion with Laurie R. King, best-selling novelist, holder of an honorary doctorate from the Graduate Theological Union in Berkeley, and Noel King’s widow. Massoud’s talk will draw in part from his extensive research on law in Somalia and Sudan, the subjects of his current book project and his award-winning first book, Law’s Fragile State: Colonial, Authoritarian, and Humanitarian Legacies in Sudan. He will also discuss new research on the role of shari’a for Muslims here in California, home to one of the largest populations of Muslims in the United States. 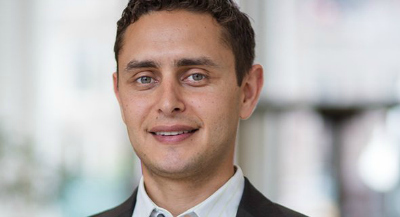 Originally from Sudan, Massoud holds a law degree, in addition to a Ph.D., from UC Berkeley, which gives him a unique lens to study Islamic culture, history, and law. Those who misunderstand or fear Muslims or Islam often do so by portraying shari’a [pronounced sha-REE-yah] in a distorted way, Massoud said. “If we only see shari’a in the narrow sense of legal principles for judges, we miss the subtleties and nuances of the traditions that help guide Muslims making ethical decisions,” Massoud explained. “In Arabic, shari’a has linguistic and technical meanings, including ‘the path’ or ‘the way,’ so many people see it as a path towards leading an ethical life … an ethical guide to be a good person to yourself, your neighbors, and the environment,” Massoud said. Trained Muslim jurists in various countries still study and interpret the primary sources of shari’a – the Qur’an and the Hadith (statements and actions of the Prophet Muhammad) – to help fellow Muslims make decisions today about ethical behavior, religious practices, and courses of action in their daily lives. Massoud’s talk is timely, considering the rise of Islamophobia in the United States. A recent constitutional referendum in Oklahoma that forbid state judges from considering shari’a in their rulings was backed by 70 percent of voters. Although it was struck down by a federal court in 2013, many other states followed Oklahoma’s lead by enacting similar legislative bans on shari’a. For Massoud, this raises the question, “How do you ban an ethical or legal system, and how do Muslims respond to this? “I learned how American Muslims, facing widespread fear of Islam, have educated themselves and others about faith, rights, and race to practice ethical citizenship,” Massoud said. Muslims in California, Massoud reports, are educating themselves on what shari’a means so that they can educate others about the Islamic grounds for just, ethical, and environmental living. Massoud is a former fellow of Princeton University’s Program in Law and Public Affairs and Stanford University’s Center on Democracy, Development, and the Rule of Law. Among his honors and awards are a Guggenheim Fellowship – UC Santa Cruz’s first Guggenheim award in the field of law – and a Carnegie Fellowship.